Residents of a large swath of Northwest and Northeast D.C. are still being advised to boil their water before drinking it or using it in cooking, but DC Water officials say a smaller area of the city was affected by potential contamination than originally thought. Use an interactive map to see if you're in the impacted area and see how it long it's expected to last. WASHINGTON — Residents of a large swath of Northwest and Northeast D.C. are still being advised to boil their water before drinking it or using it in cooking, but DC Water officials say a smaller area of the city was affected by potential contamination than originally thought. During a news conference late Friday morning, DC Water said the footprint of the area under the boil advisory had gotten smaller. They released an updated, interactive map for customers to check if they are affected. “The footprint has gotten smaller as of today, so we’ve been able to … pinpoint those customers,” said David Gadis, chief executive and general manager of the water utility. DC Water said customers who are outside the boundaries on the most recent map were never affected by the issue. The boil order is expected to remain in effect until at least Saturday morning. Customers should use cooled, boiled water or bottled water for drinking, brushing teeth, preparing and cooking food, making ice, preparing infant formula or giving water to pets, according to the advisory. DC Water officials said a total of about 34,000 customers are affected but noted a single customer — such as a large apartment building — could actually represent hundreds of D.C. residents. The original boil advisory, issued early Friday morning, came after a malfunction at a pumping station Thursday evening resulted in an unexpected drop in water pressure, which could have allowed contaminants to get into the water, officials said. The water main affected by the malfunction supplies water to Brookland in Northeast; Mount Pleasant, Columbia Heights and Petworth in Northwest; and Foxhall and Georgetown in Northwest. Earlier Friday, the water utility said it anticipated the boil water advisory to last between 24 and 48 hours. Officials have stressed that the advisory is only a precaution and that they are conducting water quality tests across the city to ensure that it is safe. The results of the testing will be come in on Saturday, officials said. LaQuandra Nesbitt, the director of the D.C. Department of Health, said residents who ingested water after the valve malfunction, should monitor themselves for upset stomach, vomiting or diarrhea. If you have those symptoms, you should contact your doctor, Nesbitt said — although it may not be related to ingesting the water. Chris Rodriguez, the director of D.C.’s Homeland Security and Emergency Management Agency said pools and spray parks in the areas of D.C. under the boil advisory will be closed while the advisory remains in effect. The federal Department of Veterans Affairs announced that several of its headquarters buildings were closed for the rest of the day Friday because of the boil advisory. At the news conference, officials provided more details about what led to the valve issue. 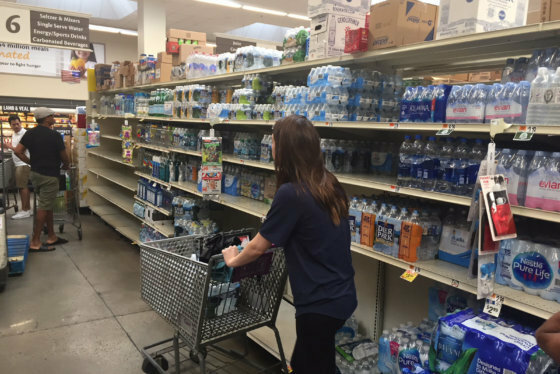 Water was in short supply at some stores in D.C. in the wake of the water boil advisory, but even though a lot of people were stocking up on bottled water, most said they were doing so out of an abundance of caution. Starting at about 8:30 p.m. Thursday, an open valve at the Bryant Street Pumping Station, near Howard University, resulted in a loss of pressure in parts of its distribution system for about an hour, the company said in a news release. The pumping station provides a good part of the city’s water supply, and the valve issue caused a sharp drop in water pressure — or no water service at all — across a large stretch of the city. While the pressure was restored fairly quickly — in about 66 minutes, officials said — a loss of pressure in the pipe system means it is possible for contaminants to enter the water. Gadis said emergency teams worked overnight to pinpoint where the problem was and how many people were affected. 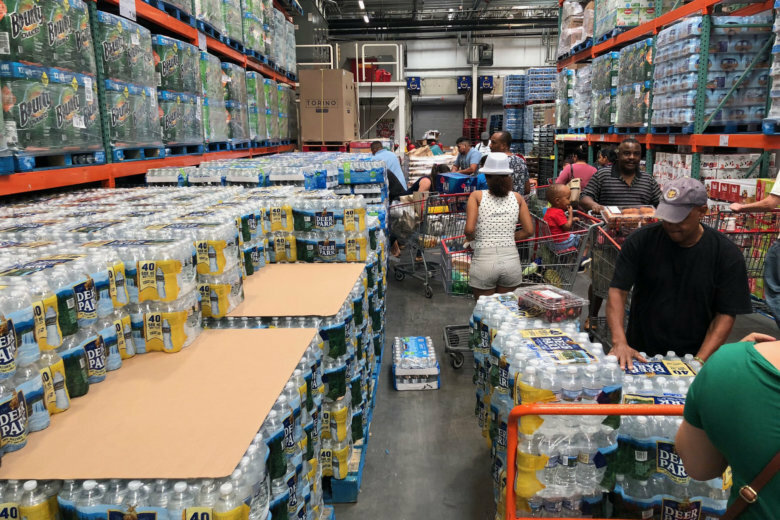 The D.C. Department of Homeland Security and Emergency Management Agency issued the boil-water advisory shortly after 4:30 a.m. Friday after receiving the go-ahead from DC Water, said Rodriquez, the agency’s director. When asked by reporters at the news conference why it took nearly eight hours from the time the valve issue was fixed to alert D.C. residents, Gadis said it took time for workers to understand and pinpoint the problem. DC Water released these safety tips. Customers should also boil water if they experience low water pressure or had no water after 8:30 p.m. on July 12. If customers don’t have water, they’re advised to boil water when service is restored. WTOP’s Neal Augenstein and Patrick Roth contributed to this report.